It may not seem like a much, but the top reasons to visit Craigavon will be enough to make you appreciate your vacation experience in Northern Ireland. This small settlement in the county of Armagh depicts the simple lifestyle which the Irish have been widely known for. And it also takes you away from the busy, deafening and oftentimes claustrophobic environment of usual tourist destinations in the country. 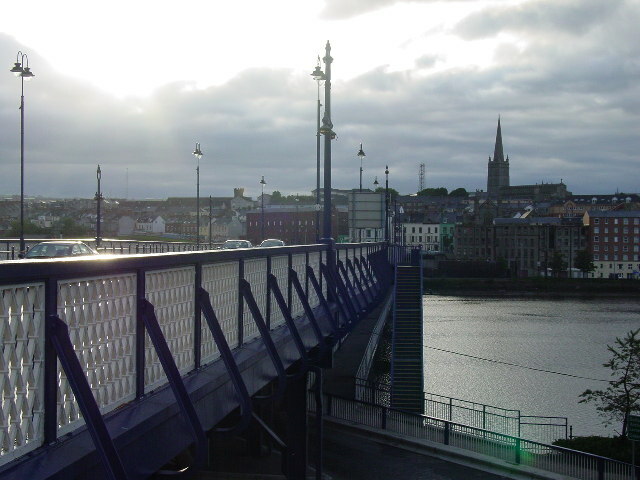 Craigavon was initially planned to be a “New City” for Northern Ireland, mirroring similiar developments in the nation of Great Britain. But because of certain hitches in the planning, Craigavon was not able to deliver as much as it should in terms of development. In spite of this, changes have brought forth tourism advantages for the nation, with the availability of recreational facilities like shopping centers, parks with artificial lakes, playing fields, public gardens and petting zoos. And those who are fond of skiing would definitely appreciate the artificial ski slopes that have been built in and/or near the area. One of the top reasons to visit Craigavon is Wetlands Way at Portadown, which is just 3 miles out of the city. This is especially a must for those who enjoy being at one with nature and who love to challenge themselves. However, if this trail does not give you enough excitement, or in contrast gives you too much, you could explore other highlights within this area like the Millennium Court Arts Center, which contains two galleries and hosts a number of creative and cultural events all year round. The Chimes Coffee House is also something you should look into checking out if you wish to have a taste of Ireland’s very own specialty teas, coffees and home-made delicacies. And the best part about this latter landmark is you get to appreciate a view of St. Mark’s Church. Within the residential area, people can seek out another one of the top reasons to visit Craigavon, the Tannaghmore Gardens, which is located on Lurgan’s. Unlike the previous options, this site provides guests with up-close interactions with local and rare animal breeds. And just at close proximity is the Barn Museum, where information as well as preserved remains of the animals are displayed. The Craigavon Golf & Ski Center should offer you more adrenalin-pumping pastimes while in town. But if you’re into water activities, the Lough Neagh and River Bann should extend you enough opportunities to engage in some swimming, canoeing and other water sports. 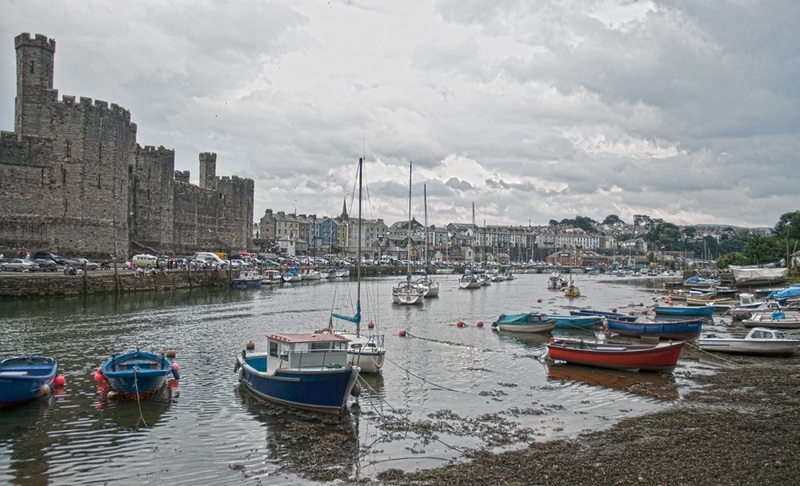 Explore the top tourist attractions in Caernarfon and be captivated by the beauty that this place has to offer. Caernarfon is a royal hamlet situated in Gwynedd, amidst the scenic Menai Straits and Mount Snowdon, just to the north of Wales. Subjugated by extraordinary ancient fortress, Caernarfon has caught the attention of many tourists. Being the most sought-after castle in Wales, the grand Caernarfon Castle should be on top of your bucket list when you visit this royal town. Situated at the mouth of the Seiont River, these seven multilateral towers were fundamentally created by King Edward I in 1283 not only as a citadel for the British Royalty but also as a government refuge and a military base to contribute more to its powerful facade. The architectural make-up of this castle was also intricately designed to ensure that it would emanate the walls of Constantinople which embodies the colonial supremacy of Rome and the trance castle of Welsh in their famous folktales. In 1969, the castle received the global recognition as a site of inauguration of Prince Charles as the Prince of Wales thus also gained the eminence as a World Heritage Site. The other top tourist attraction in Caernarfon that you should also explore is the Royal Welch Fusiliers Regimental Museum. Sited inside the two structures of Caernarfon Castle, this museum takes you to an exhilarating journey of beyond three hundred years of legacy by means of an audio-visual presentation and exhibits. From there you’ll be inspired as to how the troops of Welch triumphed over the battles during the First World War and be also captivated by the authentic literary works of well-known writers who served the royalties during the war such as Robert Graves, David Jones, Frank Richard and Siegfried Sassoon. Apart from that, you will also find out about the extraordinary way of life of commoners who were of service to the Wales’ prehistoric infantry brigade. This museum has just so much to share that you’ll truly be enthralled as to how its exhibits establish a strong linkage in the unfolding and shaping of Caernarfon’s rich historical heritage. If you happen to look for a place to simply relax and enjoy the natural beauty of nature then, Dinas Dinlle is the ultimate escapade that you’ve been looking for. Dinas Dinlle beach is situated on the northern shoreline of Llyn isthmus in the middle of Caernarfon and Pontllyfni just in the north part of Wales. The coastline of the beach draws out for several miles with great regions filled with sand during low tide. The beach is even more highlighted by the natural attractive pebbles in the shoreline. The clean waters of the beach also makes it a spot conducive for fishing, swimming, surfing, canoeing, sailing, jet skiing and even windsurfing. It also has toilets, craft shops and cafes which can make your stay convenient and comfortable. On the other hand, If an action-packed, thrill-driven indoor experience is what you want then, the Redline Indoor Karting is a worthy stopover not just for you but for the entire family and a group of friends as well. Indoor Karting allows you to experience the matchless blend of speed and adventure that a high-patterned racing kart can give. Carefully-engineered by motorsports specialists in Wales, you’re ensured with a competitive racing facility and a memorable riding experience. Basically, all the karts are alike so your ability will simply determine your lead in this recreational activity. With available printouts of your lap times and finishing time, you’ll be able to gauge your level of expertise after the race. Beyond doubt, Indoor Karting is not just one of the greatest adrenaline games in the world but also one of the top tourist attractions in Caernarfon, Wales. Because there’s just so much to see in Caernarfon, the other top tourist attractions in Caernarfon which you might also like to explore are Foel Farm Park, The Bell Tower Cafe, Welsh Highland Railway, Galeri Caernarfon, The Fun Centre, William Mathias Music Centre and Segontium Roman Museum.